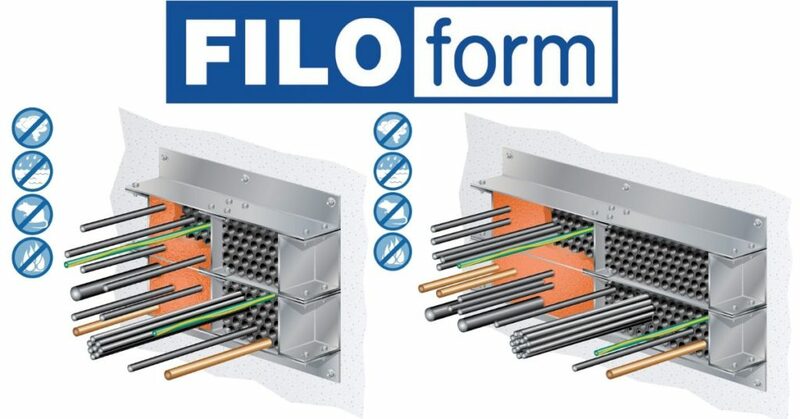 Filoform manufacture 2 types of Cable Transit Frames: the A frame and B frame that can partner with the Filoseal +HD and Filoseal +HD FIRE to create cable transits that are able to seal and protect LV MV HV power, control and instrumentation cables. 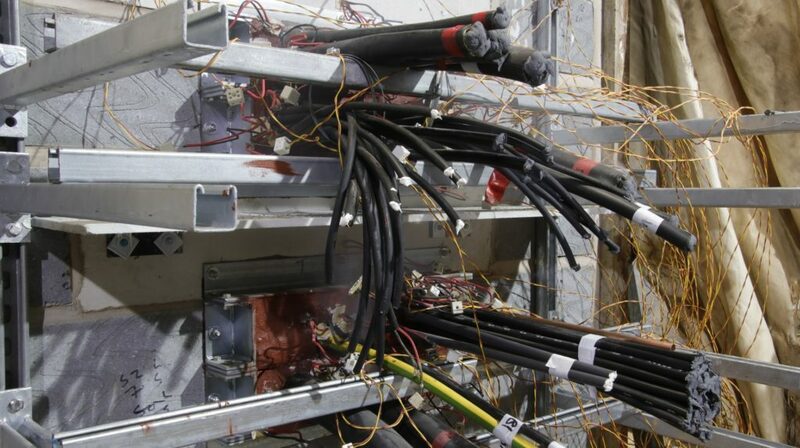 These cable transits provide guaranteed and reliable protection to LV MV HV Electrical Building Services & Substations against fire, gas and water ingress where the space or structure will not allow fitting of a cable seal into the structure itself – the Filoseal +HD Fire is fire tested to the Australian Standard AS15360.4-2014. Frame A and Frame B are modular in construction based around a working opening size of 120mm x 120mm (A Frame) and 120mm x 240mm (B Frame) respectively and can be assembled in almost any size required – both cable transit frames are manufactured from zinc plated galvanised steel for corrosion resistance. The cable transit frames have been tested to EN1366-3:2009 for a period of up to 4 hours on a standard installation when used in conjunction with Filoseal +HD FIRE sealing materials. Substation Cable Seals – the cable transit frames are specified to provide excellent sealing of Medium & High Voltage Cables at 11kV/33kV, including 3 core (BS6622) and single core Triplex (BS7870) cables. 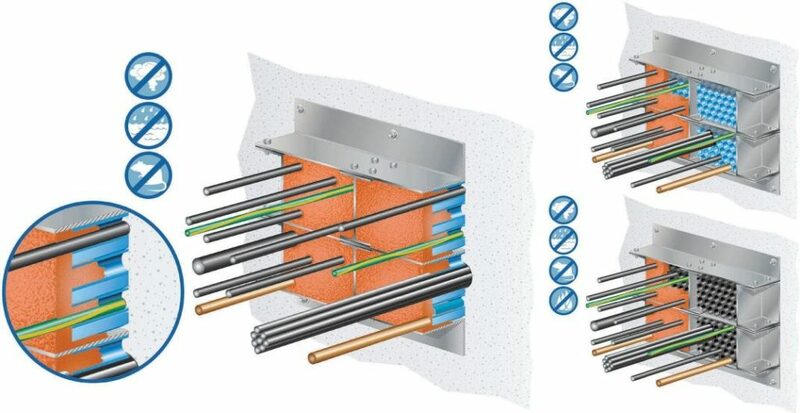 ➡ The sealing system utilising the galvanised steel cable transit frames can be adopted to seal an extensive range of cable configurations including single, trefoil and bundled cable installations. 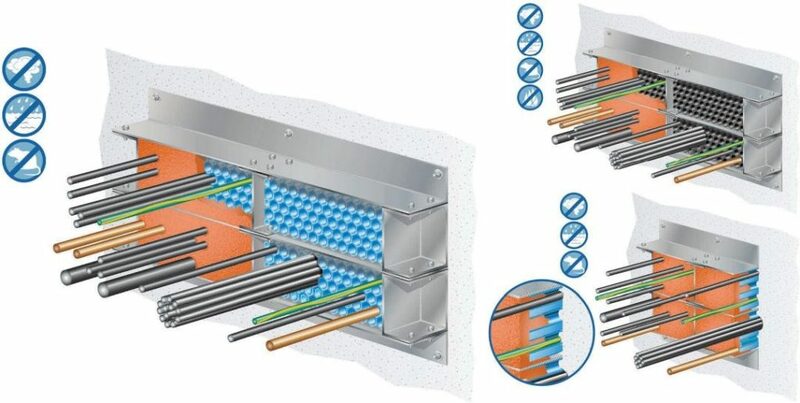 The design of the cable transit system accompanied by these frames decreases the need for upfront design so there is no need to consider complicated modular insert sizes as the system is filled with the widely utility approved Filoseal +HD and Filoseal +HD FIRE sealing systems. Note: ➡ A and B type cable transit frames can be assembled around existing cable runs and installation which should eliminate downtime of the associated cable circuits and networks. 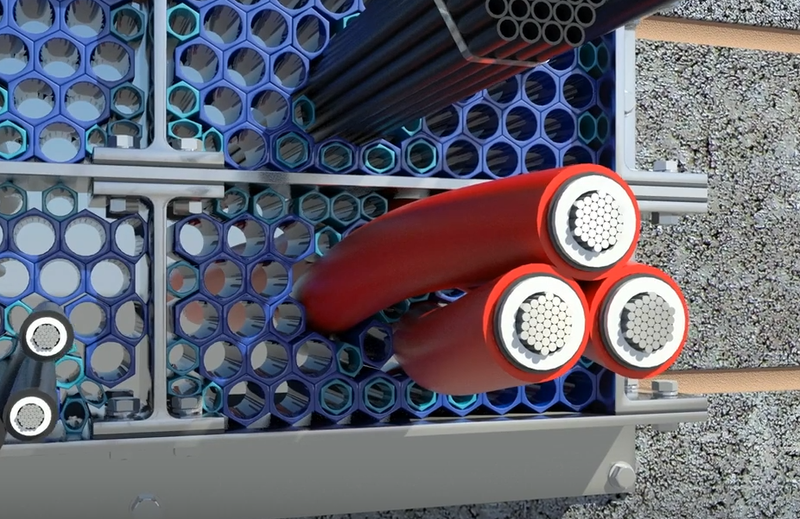 The modularity of the cable transit frame is based around two opening sizes; 120 x 120mm (type A transit) or 120 x 240mm (type B transit) which follows the frame sizing of regular cable transit systems. For a larger hole a multi-opening cable transit frame is built to suit the application. Cable transit frames of Type A (120mm x 120mm opening). 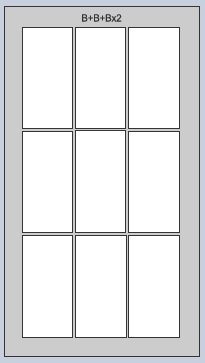 For clarity, all frames are 120mm wide, height is subject to change. Frames types followed by an ‘xn’ notation means there are n number of openings set out horizontally in a row. 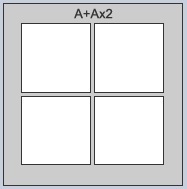 Frames types followed by a ‘+type A’ notation mean the frames are stacked vertically on top of each other. 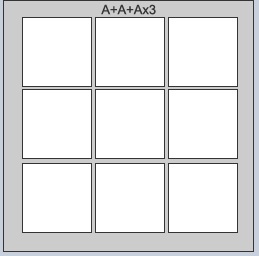 So a transit frame denoted A+A+A x8 means there are 24 openings in total of size A, in columns of 3 high 8 times over. Cable transit frames of Type B (120mm x 240mm opening). 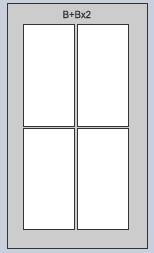 For clarity, all frames are 120mm wide, height is subject to change. Frames types followed by a ‘+type B’ notation mean the frames are stacked vertically on top of each other. So a transit frame denoted B+B+B x8 means there are 24 openings in total of size B, in columns of 3 high 8 times over.